The collaborative efforts of A.P.C. 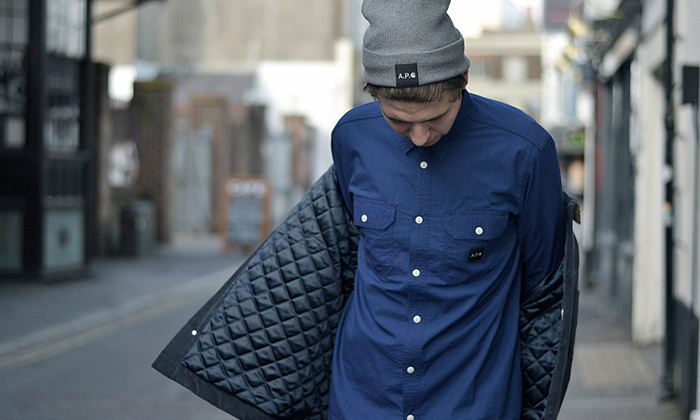 and Carhartt have been outstanding since their first project together back in 2010. Since then, the two brands have created capsule collections always on time for winter. Entitled ‘If Six Was Nine’, after the Jimi Hendrix song of the same name, this FW13 collection offers staple designs and muted colour options. 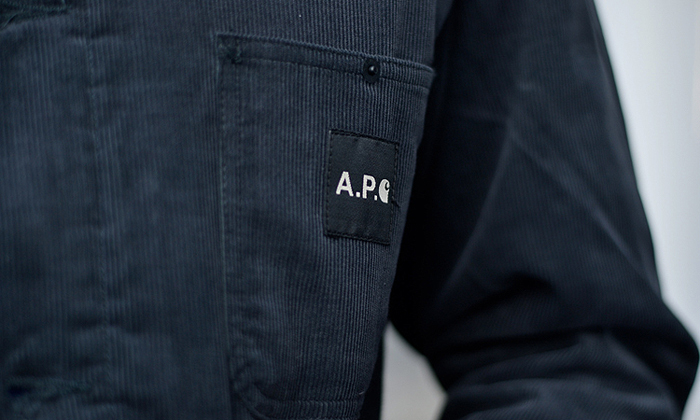 The contrast of A.P.C.’s elegance and simplistic design against Carhartt’s high quality workwear garments is a tried and tested method that still feels relevant. Paris and Detroit represent two different ends of the western world’s societal and cultural spectrum, with both brands representing the design ethos of their home city. They say opposites attract. The pieces found in this collection are an extension of each brand’s home city values and ideals, with a conscious blend of tailored but rugged garments. 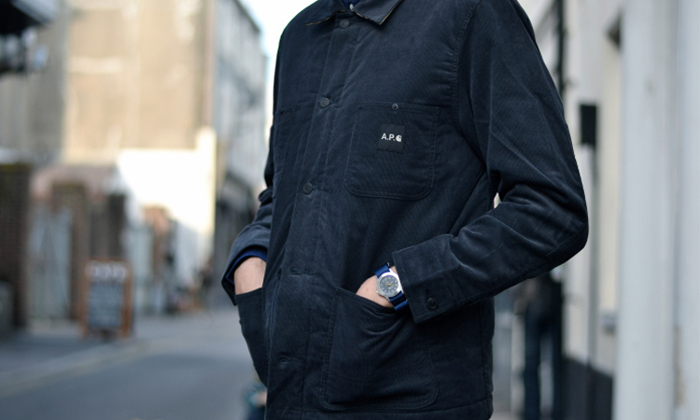 That fused A.P.C. 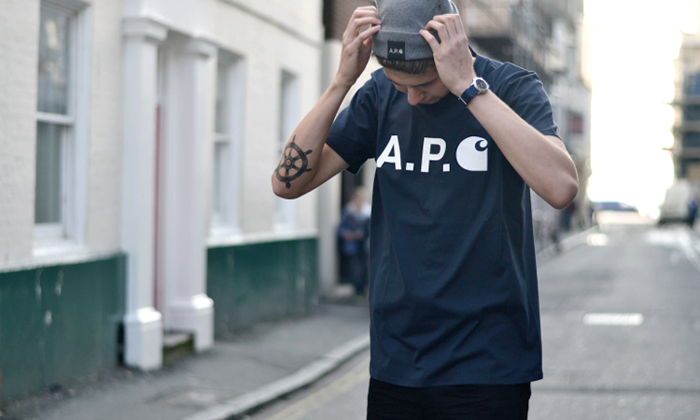 and Carhartt logo never gets old and there’s careful placement of it throughout the collection. 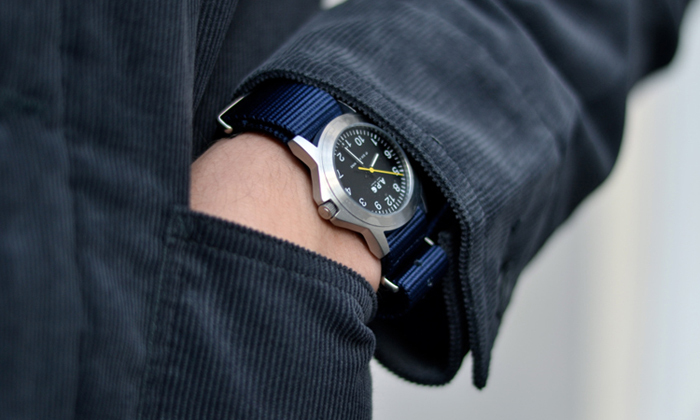 Highlight’s include the ‘Gabrielle’ jacket with its corduroy exterior and quilted interior and the “If Six Was Nine” watch demonstrates a playful twist by switching around numbers on the watch face. Limited pieces from the collection will be available at 00:01 on Thursday 17 October, over at Peggs & son. Images courtesy of Peggs & son and bythelevel.